For investors that are interested in sustainable, responsible, and impact (“SRI”) investing, the common question almost always comes up: “Can SRI investments produce the same returns as traditional investments, is performance sacrificed in order to achieve a social impact?” Performance has a been a matter of contention for SRI investments since the dawn of their existence and to this day remains one of the biggest misconceptions within the investment discipline. This piece attempts to dispel the misconceptions regarding SRI investment returns by taking a deeper dive into the impact and performance benefits that SRI investments have on an investor’s portfolio and asset allocation. For the purposes of this article, we have focused the analysis on ESG-integrated strategies. The ESG (Environmental, Social, and Governance) approach is the most popular among all SRI investment strategies and has garnered the most research, analysis and case studies from investment professionals and academics alike. Like any investment, the importance of SRI investments to generate competitive returns cannot be understated. Investors most often deploy capital with a paramount objective, to grow wealth. Therefore, while SRI investments aim to “do good” by creating a positive social impact, for these investments to truly gain mainstream acceptance, investors need to feel confident that they are receiving returns commensurate with traditional investments. Fortunately, SRI investments have historically proven to do just that. Broadly, SRI investments have performed in line with their non-SRI counterparts, and in many cases, have provided returns in excess of the traditional market. For example, take the U.S. equity market when comparing the S&P 500 Index, which is the most widely used benchmark for the asset class, to the MSCI KLD 400 Social Index, the predominant ESG index tracking U.S. equities, the returns of the two indices have moved in near tandem with each other, for nearly ten years. In actuality, the ESG index has outperformed the S&P 500 by 0.30% annualized. While this example is focused on the U.S. equity market, the same trend is evident across international markets as well as fixed income. Additionally, in markets where ESG practices and corporate operating standards are less transparent, such as in emerging markets, ESG factors are even more meaningful. As a result, the MSCI Emerging Markets ESG Leaders Index has exceeded the traditional MSCI Emerging Markets Index by 4.1% annualized! The impact of ESG is most evident when looking at specific companies. All companies differ in corporate culture, governance, environmental initiatives, accounting practices, and so on. All of these aspects can be analyzed to develop a company’s ESG score, a rating which indicates how well a company stands up to its peers in regard to sustainable and responsible practices. Companies that top the ESG spectrum, like Microsoft and Starbucks, are leading advocates and practitioners of environmental initiatives, workplace diversity, and strong corporate governance. However, on the opposite end of the spectrum, companies with worst ESG scores, like Anadarko Petroleum and Monsanto, have been repeat offenders of environmental violations, labor safety issues, and corruption scandals. ESG ratings helped define the good vs. the evil in the corporate world! But have companies that are fighting the good fight found any benefit for their integrity to society? The answer is, undeniably yes! In a study performed by Harvard academics, ESG factors of individual U.S. companies were analyzed to uncover the influence they had on equity returns. The Harvard study compared the track record of the top 20% of ESG-rated companies against the bottom 20% of ESG-rated companies over the trailing 20 years. As shown in the corresponding chart, the highly rated-ESG companies vastly outperformed the poorly rated-ESG companies, by 3.7% annualized. It’s reassuring to know that the good guys don’t finish last in the investment world! This study has been replicated by several other academics and investment professionals, producing similar results and indicating the value-add that positive ESG factors have on equity performance. Furthermore, strong performance has also been generated by companies that are improving their ESG score. We will refer to these companies as “positive ESG momentum” companies. 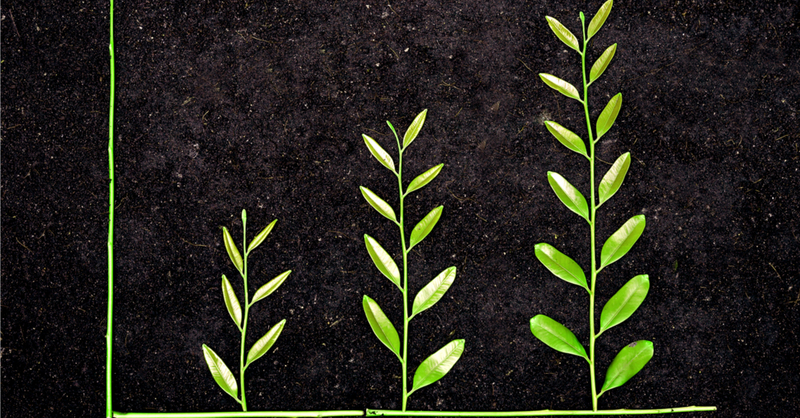 In a study conducted by MSCI, an index of positive ESG momentum companies outperformed a comparable non-ESG benchmark by 2.2% annualized over the past 7 years. The excess return generated by positive ESG momentum companies was more than double the excess return generated by companies with high, but static, ESG ratings over the same time period. Therefore, the impact of ESG is related to both highly-rated companies as well as companies with improving ESG standards. What might be most impressive about ESG-integrated strategies, besides their proven competitive performance, is that ESG strategies have generated these strong returns while simultaneously exhibiting favorable risk characteristics. According to a Bank of America Merrill Lynch (“BofA ML”) study, ESG factors were found to be effective signaling tools for the future risk of a company, especially as it relates to future stock price volatility and bankruptcy risk. Stock Price Volatility: Looking at peak-to-trough price declines of U.S. companies over 5-year periods, the stocks with minimal drawdowns (10% or less) had an average ESG score of 69, while companies with peak-to-trough drawdowns of 80% or more exhibited an average ESG score of 47. These results were monotonic, meaning that the weaker the stock’s ESG score, the greater the peak-to-trough price decline. Bankruptcy Risk: From 2008-2015, there were 17 companies that filed for bankruptcy within the study’s dataset. However, companies with ESG scores that were above the universe average, only accounted for 2 of those 17 bankruptcies. Said another way, SRI investors would have avoided 88% of bankruptcies during that time period. Avoiding these negative events, be it large price declines or bankruptcy, acts as a vital risk management tool and has proven to be effective in preserving capital in investment portfolios. When taking this all into consideration, these performance metrics at the company level and asset class level translate directly into strong portfolio benefits for an SRI investor. In result, SRI investment portfolios have not only outperformed when compared to a traditional non-SRI portfolio, but have also done so with lower risk. The perception of lackluster performance in SRI investments is not only unfounded, but has historically counteracted the notion of sluggish returns. Even more importantly, SRI investments are expected to excel going forward as investors become increasingly aware of the investment discipline and capital continues to flow into sustainable and responsible companies. SRI strategies don’t just talk the talk, but they walk the walk. Not only can they drive positive social impact, but they stack up to traditional investments from a risk and return perspective. That’s a win-win situation! Therefore, it is not a question of what you are sacrificing to invest in SRI, but what you are missing out on by foregoing SRI investments? For more information on SRI investing or to discuss how you can implement SRI investments in your portfolio, please contact a RTWM Wealth Advisor. This is the third installment as part of an on-going educational series on Sustainable, Responsible and Impact (SRI) Investing. If you have not already, please refer to our previous SRI blog posts HERE and be on the lookout for more SRI pieces in the coming months! Source: Style Advisor. Time period: 10/1/2017 – 7/31/2017. Returns are annualized. Source: Style Advisor. Time period: 10/1/2017 – 7/31/2017. Returns are annualized. Source: Mozaffar Khan, George Serafeim, Aaron Yoon. “Corporate Sustainability: First Evidence on Materiality.” The Accounting Review. 2016. Description: ESG factors judged to be material across a large number of U.S. stocks were ranked based on the strength of their ESG commitments. The chart shows the performance of the top 20% of the universe (top ESG score) versus the bottom 20% (bottom ESG score). For instance, similar studies were performed by Bank of America Merrill Lynch as well as MSCI. In both studies, results showed that high ESG-ranked companies outperformed low ESG-ranked companies over the long term (7+ years). Based on methodology and the underlying universe, the magnitude of excess differed but was closely aligned across all three studies. Source: Zoltan Nagy, Altaf Kassam, and Lina-Eling Lee. “Can ESG Add Alpha: An Analysis of ESG Tilt and Momentum Strategies.” MSCI ESG Research Inc. June 2015. Source: Bank of America Merrill Lynch. “ESG: Good Can Make Good Stocks.” December 18, 2016. Source: Bank of America Merrill Lynch. “ESG: Good Can Make Good Stocks.” December 18, 2016. Source: Bank of America Merrill Lynch. “ESG: Good Can Make Good Stocks.” December 18, 2016. Performance was tracked over the trailing 10 years as of 7/31/2017. Assumes a traditional portfolio allocated 60% to the S&P 500 Index and 40% to the Bloomberg Barclays U.S. Aggregate Bond Index. The SRI portfolio is allocated 60% to the MSCI KLD 400 Social Index and 40% to the Calvert Income Fund. No SRI fixed income index provided a track record dating 10 years so a representative SRI fixed income mutual fund was used in the analysis. Source: Style Advisor.